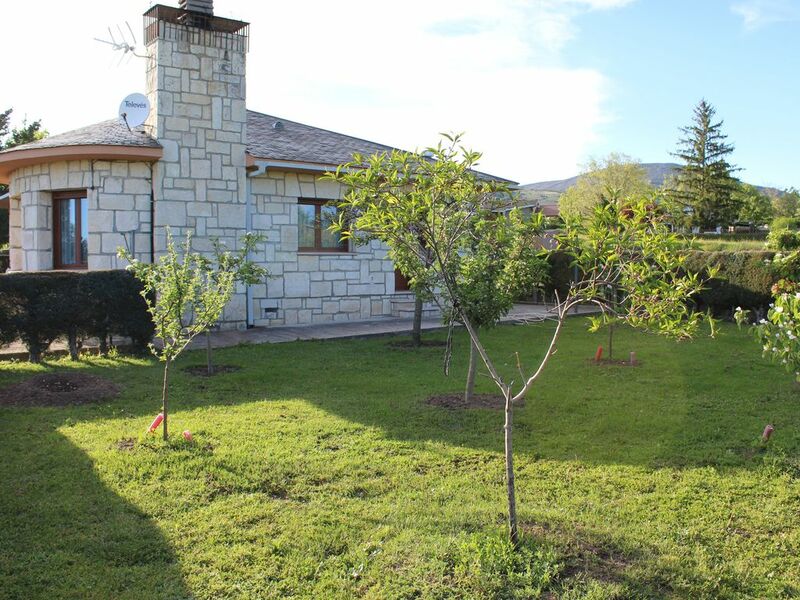 Cozy chalet with a large garden where you can enjoy a barbecue with family or friends. The chalet has 3 bedrooms (capacity for 6 people), 2 bathrooms, kitchen with access to the garden and terrace. Tranquility and privacy at 79 kilometers from Madrid. You can make routes, visit places of tourist interest, barbecues, canoes, ... and everything very close. We will be happy to give you different options. And if not, you can rest in the house and enjoy the outdoors or the fireplace. Una casa perfecta! Lo hemos pasado genial y disfrutado mucho de su jardín y barbacoa! Trato más que agradable con los propietarios. Limpio en orden y muy bonito. Entorno inmejorable.